Smooth modern design that takes its cues from traditional objects usually tends to be either completely wonderful or a bit of an over-reach. In the case of Hum, a USB “message in a bottle,” the translation is a fantastic update on an ages-old concept. 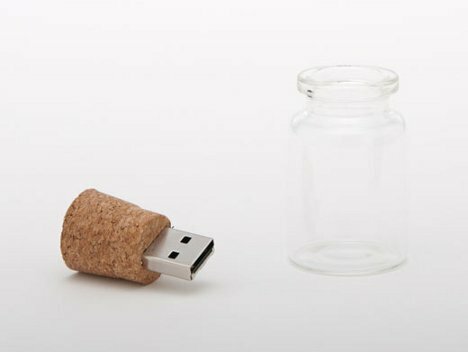 The small device consists of a glass bottle topped off with a cork. 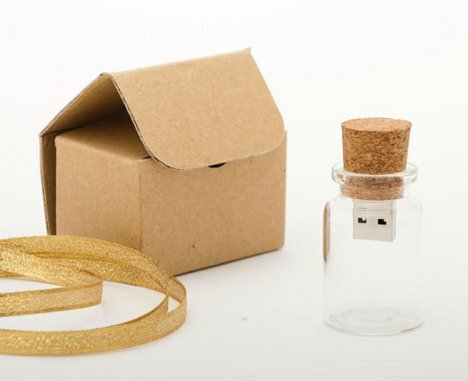 The cork contains a small 2GB USB drive on which you can record your own message, store your love letters or whatever else you want to do with 2GB of free space. The Hum is available for around $43 US from this Japanese site, which seems a bit steep for the materials. A DIYer with basic skills could easily put a similar device together cheaper…though we wouldn’t recommend actually throwing it into the ocean for a far-off stranger to find. See more in Do It Yourself or under Technology. March, 2012.